Swedish whisky from Mackmyra Svensk Whisky is now available all over Quebec as SAQ launches Mackmyra The 1st Edition February 16th. February 16th the SAQ will launch Mackmyra's The 1st Edition through the SAQ Signature outlets in Montréal and Quebec City. Orders may be submited to the SAQ Signature store by telephone, fax, e-mail or regular mail. Orders can be delivered to any address in Quebec. "We have met at great interest during our visits to Canada so it is very inspiring that a large and professional buyer as the SAQ has chosen our whisky for the Signature outlets" says Jonathan Luks, Country Manager for Canada at Mackmyra. 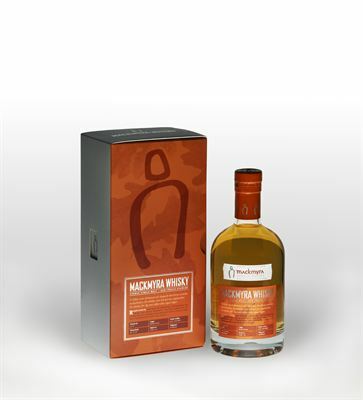 Mackmyra Whisky is Swedish malt whisky, manufactured using Swedish ingredients at the Mackmyra distillery in Gävle. The 1st Edition has largely been stored in 100-litre ex-bourbon casks, which provide an exciting, powerful maturation process. We have also used newly-manufactured Swedish oak casks, which add a distinctive spiciness. The colour is light yellow with hints of amber. The nose is fruity with citrus, pear, apple, honey, light oak with hints of lightly toasted bread and fresh, buttery caramel. The taste is fruity and subtle, with citrus, caramel and honey, rounded off with a gentle touch of oak. The aftertaste is well-adjusted and balanced, with hints of dark chocolate. The 1st Edition is Swedens best selling single malt whisky in its prize segment and has among other prizes been awarded Gold at the International Wine & Spirits Competition (IWSC) 2011. "Canada is a very interesting market for us and we hope that we can offer Mackmyra whisky to more provinces during this year", says Jonathan Luks, Country Manager for Canada at Mackmyra. Importer in Quebec is Société Commerciale Clément Internationale. Contact Emma Brookes, Chef de Marques, for more information. Phone 450.641.4520, mail emma.brookes@societeclement.com. At our distillery in Swewden we have pursued our dreams and created the Swedish malt whisky. We make it our own way, from local ingredients and without additives. The result has put Sweden on the international whisky map. We offer special whisky experiences for you who live life less ordinary in Mackmyra Whisky Village just outside of Gävle, Sweden. Welcome to Mackmyra Swedish Whisky. Mackmyra Swedish Whisky is the pioneer and innovator who started the Swedish whisky expedition 1999. The whisky is created with Swedish ingredients, with no additives, and by a climate friendly distillation technique. Mackmyra offers award-winning single malt whiskys, exciting whisky experiences and the opportunity to create your own whisky through a personal 30-liter cask.